September is National Stamping Month and I have a little preview for you. Introducing the limited-time Create Kindness card kit Celebrate National Stamping Month this September with hand stamped cards designed to help create a little more kindness in the world. We will be celebrating National Stamping Month at the crop and you will be able to create and take one of these cards. I will also have a special stamping demonstration at the crop! Aren't these the cutest little cards! For a limited time in September, you can get your own kit! 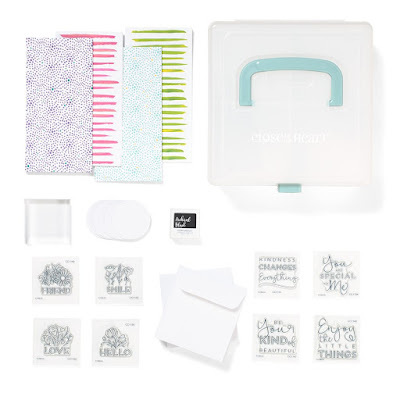 The Create Kindness card kit contains all of the supplies needed to make 24 beautiful, handmade cards that you can use to brighten someone’s day! EIGHT special M size stamps. 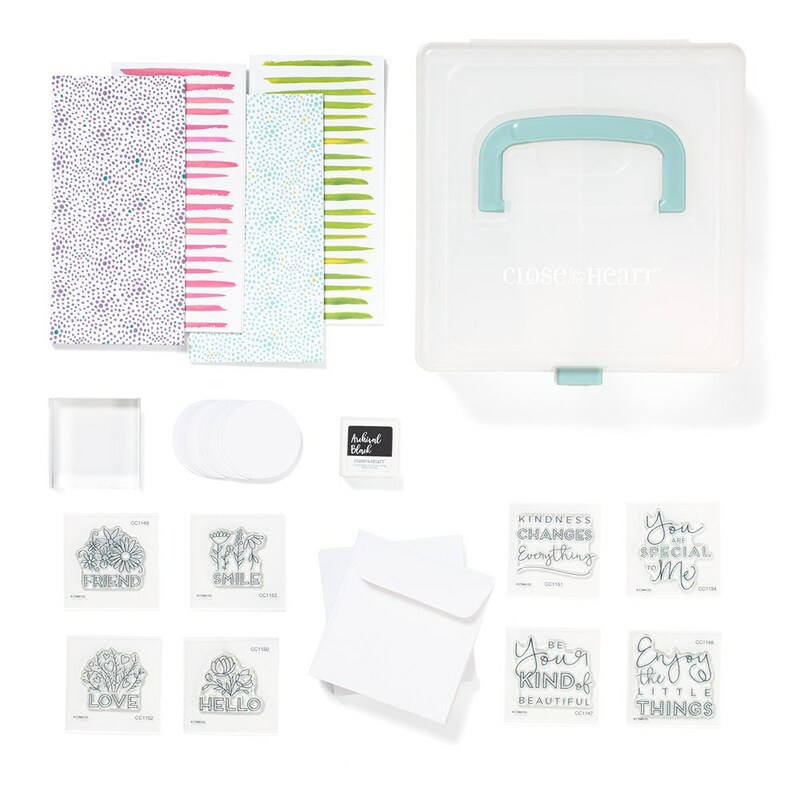 The kit can be yours for only $46.95 — a 15% savings off the retail value! And as a special bonus, the 8 exclusive M sized stamp sets as well as the pre-printed card bases with envelopes are also available for separate purchase, but only in the month of September while supplies last! Let me know if you would like to order a kit or any of the individual items . 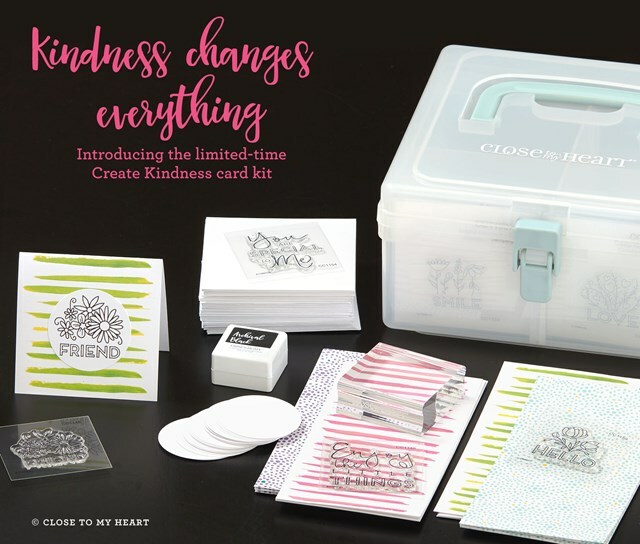 I will place an order on September 1st, so I can deliver your kindness kit to the crop for you!